As a writer and a working woman, it’s easy for me to get overwhelmed—especially when facing the blank page. In freshman comp we’re told to “write what you know,” but that is sometimes easier said than done. At the end of a busy day, I’m not sure anymore what I actually know or if it is simply assumed. The same goes for memory. If writing what one knows or, put another way, memoir, is about what happened, then there is still room for a thousand different angles. What “happened” depends on where one stands in the story. Your memoir matters. Many of us are looking to write memories—either in the form of literary memoir or simply to record family history, in order to pass down stories to children or grandchildren. Writing about the past can be therapeutic, helping us to make sense of the here-and-now. For some, myself included, writing can be the cause of anxiety. So what I do is look at life in bite-size pieces. In my book Freeze Frame: How to Write Flash Memoir I de-construct the process I use to stir up memories and write about them. Just like how a camera focuses and gives us a snapshot, I freeze-frame a memory from the past, something that actually happened, crop it or enlarge it, and bring it into focus. Flash! Publishers of literary journals are eager for flash, the haiku of prose, where every word counts. There is no widely accepted definition for the length. Some journals are asking for no more than 100 words. Six Minute Magazine is looking for quality fiction that can be read in under six minutes. Morgen Bailey has put out a call for six-word flashes for Flash Fridays. The upper limits of flash might be 1,000 words. 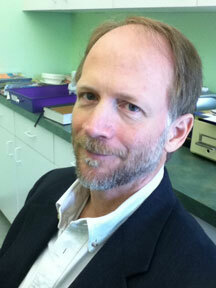 Tin House Magazine runs a column every Friday for flash a 1,000 words or less. Regardless of length—flash is hot. In one 12-month period I’ve had over 20 such flashes accepted. For some, flash is a proper story with a beginning, middle, and end. I propose with flash memoir that one not look for plot but write for the “ah ha” moment. That may be an impression, a vignette or scene with a simple take-away, or a stream-of-conscious journaling, where the present is captured and poured out onto the page. One way I do this is to improvise. Julia Cameron in The Artist’s Way instructs us to “make time,” not wait to “find time” for writing. She suggests free writing where for 10 – 20 minutes you write whatever comes into your head without editing, without even lifting your pen from the page. Her method is called Morning Pages. Flash memories come unbidden, unconnected—yet can stay with us like last night’s undigested roast beef. Try not to get bogged down with facts—or exactly how it happened. Our memories are flitting fireflies, one minute we see them like the light of day and in the next instant we are floundering in darkness. Allow yourself to get distracted and let your mind wander. But, no matter what, stick with it. 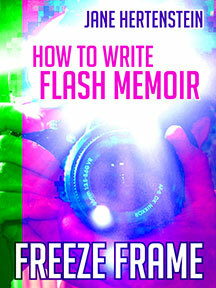 In my book Freeze Frame: How to Write Flash Memoir and at my blog Memoirous I have a section on where to submit flash memoir. Good luck flashing! Audry Fryer is one of our WOW! blog tour partners and we are thrilled to find out she's written her second book. Find out more about Secrets, Lies, and Apple Pies and all about Audry herself! Delicious deceptions abound in this spiced-with-drama, sweet-with-humor novel. When a random text message appears on her husband’s phone from Josephine, a friend as close as family, Braeburn thinks little of invading Reed’s privacy . . . until she reads it, “Whatever you do, don’t tell Braeburn.” This threatening message combined with an unseasonably early snowfall dangerously coating the country roads near her small Pennsylvania town of Scarlet’s Mill, sends Braeburn careening out of control in more heart pounding ways than one. Now, baking apple pies for her sister’s business—despite being horrible at preparing a homemade pie crust—may be Braeburn’s only hope for recovery. Since moving into the farmhouse with her mother at the Scarlet family’s orchard, Braeburn has been tormented by questions surrounding the events on the day of her accident. What was Josephine hiding? And, was her entire marriage based on one big lie? Secrets, Lies, and Apple Pies will leave you wanting more. This is a great story that is expertly written. Fryer has outdone herself! Secrets, Lies, and Applie Pies is available as an e-book at Amazon. Audry wrote her first novel, Going Barefoot in Greener Grass, while her twins were napping and her oldest was at pre-school. Now, she has her second novel, Secrets, Lies and Apple Pies available for Kindle. She lives with her John Deere fanatic husband, adorable son who happens to be a Lego-maniac, Southern Belle at heart twin girl, giggly, fun-loving twin boy and the family's very furry dog. This interesting bunch lives on a quiet country road in Southeastern PA. Aside from writing (which Audry squeezes in when she can), her day consists of "Mom's Mini Van Shuttle" and enjoying what each season has to offer her and her family. WOW: Secrets, Lies, and Apple Pies made me hungry the moment I saw the cover, as well as throughout with the descriptions of the pies and discussions about the best pie crust. Are you a pie baker or what gave you the idea for the apple pie theme? In answer to your question, yes I do indulge in quite a bit of baking and every Fall I must bake at least one apple pie. As I was teaching a close friend of mine the art of assembling a homemade pie crust (she happens to be a great cook and yet was frustrated that this was one thing she couldn’t seem to do), I became inspired to create a story with this very theme. There’s something very special about baking something from scratch. It takes time and patience, not to mention a little skill. But, for all that effort, the rewards are, well, delicious! WOW: I’ll be waiting for my apple pie; it sounds like it would be well worth the drive to come visit! Just in case not all of our readers are invited for a visit, tell us some of your baking secrets and tips. And of course, I want to know which crust you prefer! Audry: It was my mom who taught me, completely hands-on, how to prepare a homemade pie crust in just the same way her mom taught her. So, believe it or not in this age of everything being one click on the internet away, I use a recipe from the good old-fashioned cookbook, Joy of Cooking. My mom is the expert pie baker in the family. She prefers to use shortening instead of butter and to roll out her dough after it has chilled in the refrigerator for at least an hour. I’ve figured out a few tips on my own to make an awesome apple pie. I think a sprinkle of nutmeg and cinnamon on the apples makes all the difference. Plus, I have a hand crank apple peeler that slices the apples flat and makes fun spirals out of the peel that my children have a great time devouring. Also, in my novel there is a debate over crumb-topped pie versus an eye appealing top crust. For the record, I like a buttery crumb-topped pie. The funny thing is my parents have been debating this issue for years with my dad insisting on a lattice top crust and my mom preferring a crumb-topped one. WOW: I'm hungry again and seriously considering a visit to Pennsylvania now! As I was reading, I was curious if Scarlet's Mill, PA was a real place and in finding out it is, I'm curious if some of the places in your book really exist. Can you tell us more about the physical places in the book and which ones are real? Audry: Yes, Scarlet’s Mill, PA is a real place a few miles from where I live. However, the town as it is described in Secrets, Lies and Apple Pies is pure fiction. The real Scarlet’s Mill is a small community of homes along a few winding country roads. The area does date back to the Civil War Era and one of the historical homes had once existed as an important stop on the Underground Railroad. The places described in Secrets, Lies and Apple Pies are taken from my everyday travels around my corner of Southern Berks County, PA. Scarlet Orchards is loosely based on a local orchard, Weaver’s Orchard, that I have visited often to pick my own fruit, take a hay ride and shop in their farm store. Cold Creek Road from the novel doesn’t exist, but there are many similar twisting and turning downhill roads around here such as one nearby called Cold Run Road. The church with the angel statue is a mix of imagination and a real place. During the “Snow-Apocalypse” that the late October snowstorm of 2011 is known as around here, I was diverted in completely different direction and happened to pass an old church with an angel statue that I couldn’t seem to forget. And, finally, just like a scene from the story I have attended the Oktoberfest celebrations in Reading, PA. This past year, since I knew I was going to write about it, I was claiming I was doing “research” while enjoying good food, drink and music. WOW: That's my kind of research! 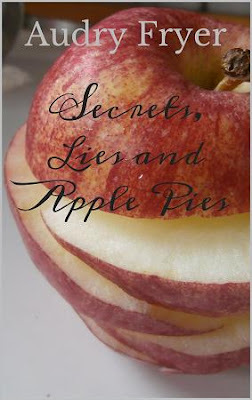 (As well as great time management—and speaking of which...) Secrets, Lies, and Apple Pies was a book I truly enjoyed. I never would have guessed you had written it while raising three children and being an active blogger. Where do you find the time? How do you stay focused and what tips do you have for other writers? Audry: It’s definitely a balancing act especially since I’m such an involved mom. Completing Secrets, Lies and Apple Pies plus blogging took sticking to a daily routine. I’d take advantage of my oldest leaving for school and my twins being sleepy, to quickly write some coffee-fueled blog posts. Then once the twins left for afternoon Kindergarten, I made sure that I blocked out at least two to three hours for working on my novel. Actually, after having a busy morning and knowing I was in for an active late afternoon, sitting back to write with a mug of hot tea felt blissful. As for staying focused, I remind myself often of the big picture. A writing career is something I have always dreamed of doing and if I was going to make it happen, there was only way to do it—sit and write! WOW: That was a great lead in to my next question—thanks Audry! How do you write? Do you come up with an outline first or do you sit down with a pen and paper? What is most motivational for you? Audry: I write exclusively on my laptop but I start with a pen and a notebook in order to form a basic outline of the beginning, the middle, the climax and the conclusion. In my notes, I lay out the story, how it will end and a detailed storyline for each character. I’ve learned the hard way (as in deleting over a hundred pages) that I can’t start writing until I have a full understanding of my characters and the key plot points. That said, I go into a scene with a main objective (I have a degree in Elementary Education, so that’s the teacher in me) but as I write I’m very open to discovering where the characters take me. As I get deeper into the story, I’m always thinking (usually while driving to soccer practice or while I’m in the shower) about details and about what’s working or what I need to change. When I read, I like to be entertained and that’s the type of writing I want to provide to my readers. 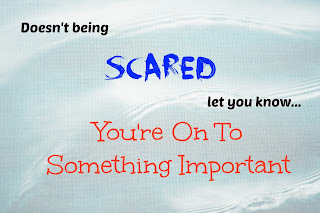 WOW: As one of your readers who was definitely entertained, I have to know: what's next for you? Have you already begun work on your next project? Can you give us a sneak peak? Audry: At the start of the summer, I bought a brand new notebook and started brainstorming ideas. I’d like to start a series of books involving five friends. So far for the first book, I have a title, How Lucy Got Lucky, and a general idea about how a large win of cash/prizes changes the life of one down-on-her-luck woman. I’d like the story to come around to the discovery that perhaps Lucy was lucky before the win, but she never realized it. I’m toying with having the big win occur on the long running tv show, The Price Is Right. I always wanted to go on that show and play Plinko! WOW: The research for How Lucy Got Lucky sounds like it might be really interesting for you and the entire family. I'll be waiting to hear more. In the meantime, is there anything else you'd like to share with readers and fans? Audry: I would like to ask readers and fans for their support. Hopefully, you will enjoy Secrets, Lies and Apple Pies and if you do, please tell a friend, like my Facebook page and/or take time to write a nice review. That kind of help can do wonders for an author, especially one just getting started. Audry often participates in our WOW! Blog Tours to help other authors and she plans on doing her own tour with Secrets, Lies, and Apple Pies within the next few months. To view all our touring authors, check out our Events Calendar. Keep up with blog stops and giveaways in real time by following us on Twitter @WOWBlogTour. Four years ago, I began writing a weekly newspaper column. It runs on the editorial page of local weeklies and shares my version of events that affect those of us who live in the area. It's really a 500-word personal essay that draws on my experiences and offers commentary, insight into my world. I like to add humor to the mix, but sometimes, I end up with a serious piece. No matter what style, I drive home the point I'm trying to make. I mean, that's what the reading audience wants: an authentic voice. Pick a topic. What this means: Aggghhhh! It's Sunday night and I have a Monday deadline. What shall I write about? Actually, I have a running list of ideas that I keep on my desk. After selecting one, I determine if the topic is timely, first. You can't write about ice fishing in July. Well, you can, but it doesn't make as strong an impact. A good starting point for finding a topic is to think about events that you see as a turning point in your life. These cause-effect moments make powerful essay fodder! Narrow the focus. If a thousand ideas are running through my mind (or if only one comes to mind), I like to draw a mind map. This breaks down the topic and let's me get a visual idea of the direction the essay could take. Here's an example I used a few weeks ago. I'd read an article in the Wall Street Journal about parents using smartphone apps to get kids to do chores. The apps use points or stars as incentive and once the child completes "x" number of chores and marks it on the app, they get to pick a reward. Seriously? I knew I wanted to write about this, and after I'd mapped out ideas, I decided to take a multi-generational approach to the topic: how I learned responsibility, how my kids learned responsibility, and how my grandkids are learning responsibility. Then I broke each of those areas down and added examples to prove the point I was hopefully trying to get across. Freewrite. Personally, I skip this step a lot of times because I think I don't need it. When I teach the art of the personal essay, I include it because it does help flesh out details. With that said, I like to use it when I'm recalling an event or moment that I want to add to the essay. It helps put that time in chronological order. Freewriting is easy. Just write without stopping for a set amount of time. Usually five or ten minutes will do the trick. Creating a mind map fine-tunes the direction of the personal essay. The best part: it may take you down a road you want to rediscover. 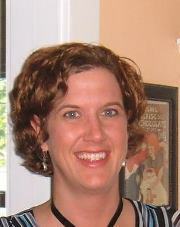 LuAnn Schindler is a freelance writer and editor from Nebraska. Read more of her work, including her weekly column, "Nebraska-isms," at her website. Keeping notes on index cards is fine, but if you have Word and a good browser, you can use free technology to help you keep track of facts and ideas more efficiently as you write your historical novel. These tips apply to research conducted online as well as through print media, interviews, and so forth. · Evernote. This free organizational system is easy to use if you stick to basics. Create notebooks for your novel and for subcategories. When you find a Web page with info that you want to refer to again, simply drop it into your novel’s main notebook or subcategory. · Documents Relating to Trips, Expenses. You can create notebooks in Evernote and folders/files in Word to keep track of work-related travel, expenses, and so forth. These can be stashed with your creative work and research or kept separate depending on your personal style. While writing on index cards worked well in the past, I find that technology has enabled me to keep track of information and sources for The Black Spaniard much more quickly and efficiently. With the individual Word documents for every year covered in my novel, I find that the book is practically writing itself, and I don’t have to interrupt the creative flow to go look up a character or event. With this easy-to-use system, you’ll find that writing a historical novel has never been easier or more enjoyable! 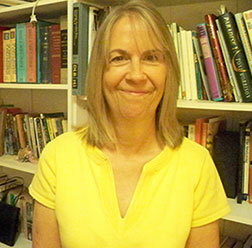 Linda Brown Holt teaches Humanities courses with Southern New Hampshire University and Thomas Edison State College. A former journalist, she is the author of two novellas under the penname, Simone Marnier, and is currently writing a novel about young Beethoven. 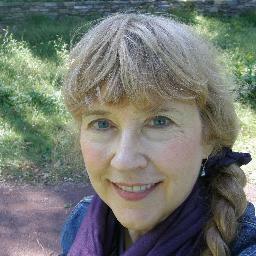 Her Web site is www.ReligiousScholar.com, and she tweets @ReligiousSchola and @PoetOfZen . For many writers, dialogue is a straightforward thing. One character says something, perhaps asking a question, and the other character responds, leading to another comment by the first character and so on. Lies. No. Zoey did it. Asks another question. There was cake? Answers with an apparent non sequitur that is somehow revealing. I don’t even like chocolate. This type of dialogue is crucial if you are writing a story with an unreliable narrator. In a limited third person point-of-view, you can create an unreliable narrator by giving us a character who lies and never letting us in on his thoughts. 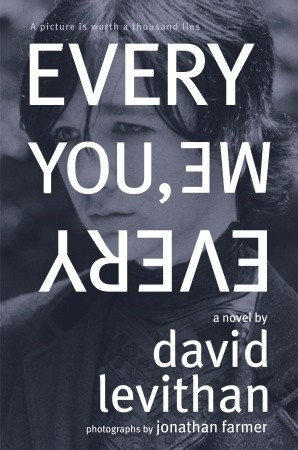 In a first person novel, it gets much more difficult to accomplish, but David Levithan succeeds in Every You, Every Me (Alfred A. Knopf 2011). Levithan handles it by giving us an insecure character who can’t bear to think about what he has done and what it might all mean. “I only knew it was morning because I was so tired. Creating an unreliable first person narrator is a tricky balancing act. Reveal too much too early and you lose the tension that you need to build in your story. Lie and you risk losing the reader over this betrayal, unless you can create a narrator who isn’t even sure he can trust himself. It’s a tricky task but one Levithan pulled offed in an amazing way. It won’t work with every story, but maybe you’re working on something that would benefit from an unreliable narrator. Do you think you’re up to crafting some tricky dialogue? Read more of SueBE's posts at her blog, One Writer's Journey. 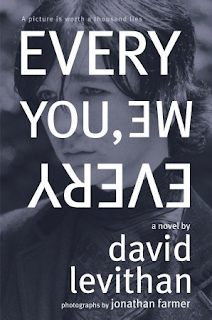 A moving, fast-paced and incredibly emotional story about love, friendship and transformation. Wink is available as a print and e-book at Amazon and Barnes & Noble. To win a copy of Wink, please enter using the Rafflecopter form at the bottom of this post. The giveaway contest closes next Friday, August 2nd at 12:00 AM EST. We will announce the winner the same day in the Rafflecopter widget. Good luck! Eric W. Trant is a published author of several short stories, including "Apple Tree" and "One Small Step," and the novels Out of the Great Black Nothing and Wink. Eric is an advocate for organ donation and lost his 18mo son in May of 2012. 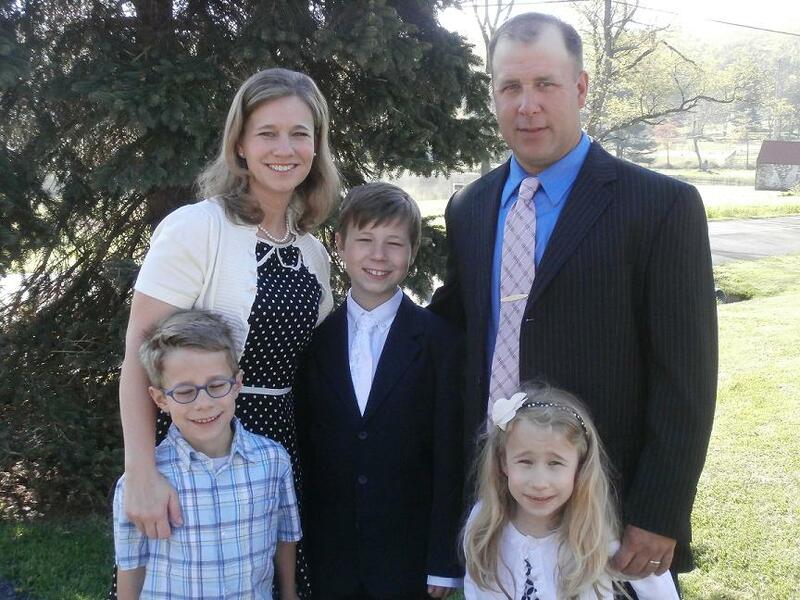 Eric and his wife courageously donated their son’s heart, kidneys, and liver. The couple went on to begin a foundation to support organ donor families. Eric speaks openly about this emotional journey on his blog and the topic of organ donation is very close to his heart. WOW: Eric, I enjoyed reading Wink (it certainly grabbed my attention and kept me at the edge of my seat) and would hope you could share with us where the ideas for this thriller came from? Marty’s uncle in particular? Eric: I decided I had enough to write the story in 2011. I can't say where I got Uncle Cooper from, or the glass eye, but I can say I have an unhealthy fear of losing my eye. For me the glass eye was a fine piece of horror, since I cannot think of too many things scarier than that, and since I wanted to write something scary, the eye took on a life of its own. WOW: I’m not sure what to say to that, except my eye is watering and I may be developing the same fear… thanks Eric… I’ll be changing the subject now. The release of Wink and the anniversary of your son, Dastan’s passing away are very close together. I know from previous conversations that one of your speaking topics is staying motivated in the face of defeat, can you tell us more about what kept you motivated and keeps you moving forward during this very difficult anniversary? Eric: This year has been one of change and facing fears. In March, I left my corporate job and struck out on my own as a business owner. On top of that we met my son's heart recipient, a one-year-old baby girl, and the kidney recipient, a seventy-year-old woman. I finalized the edits for Wink. My wife and I decided to have another baby, and at the end of June we heard a heartbeat and confirmed I landed a three-pointer from the sideline. In the face of all that stress I find joy with my family, and it cannot be underestimated how much of an impact it had on us to meet the recipients and be welcomed not as friends but as family. I look around and wonder what the heck I was ever afraid of, and why defeat is even a word. 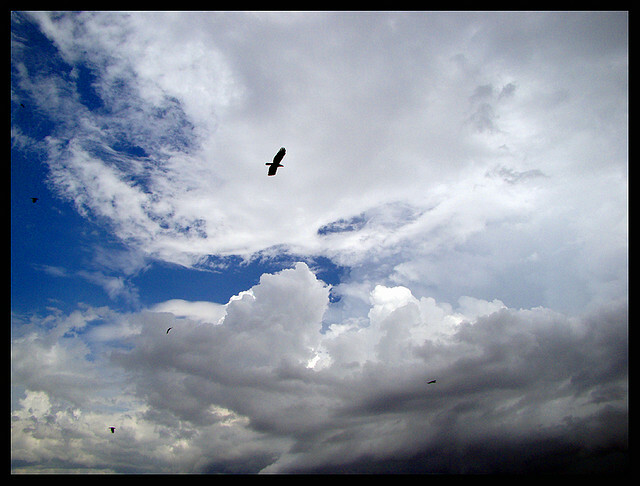 I suppose an underlying faith that everything will be all right is what keeps me going. WOW: Congratulations on the new addition as well as so much emotional healing over the last year. That’s fabulous for you and your family! (Readers, you’ll have to wait until February to find out if the baby is a boy or girl and exactly what his/her name will be)! Things seem to be going well in your personal life, but let’s face it, as writers, we realize that rejection is a necessary evil. Do you have some stories to share about your journey to publication? Recommendations for others? Eric: Most rejection is because the writing is immature. You don't ride a bike for a month and head to France. It takes ~TIME~ to grow. It takes ~WORK~ to improve. It is not realistic to expect your first book to be published, nor your first short story. My first book published was my fifth written, and Wink is my seventh book written. I don't know how many shorts I wrote before I published one, but it was on the order of dozens. I've read at least two feet worth of books on writing, and that does not include the blogs I've poked around on or the books I've forgotten I read. Do your research and keep writing and improving. Rejection is not a sign to quit—it is a sign to grow. WOW: So much for my plans of entering my four-year-old in the French Open…good analogy though Eric, you said it well. Your first short story was published in 2009; what are you doing differently now that you wished you would have done with that first publication? What do you wish you would have known then? Have things gotten easier? Eric: I would do nothing differently. I learned from each point in the process. I learned to be selective of your publishers. Do not take all the editorial advice you receive. Find your voice and stick to it. Read inspirational writers while you write. Things do not get easier. With each step upward the pressure increases, because the publisher raises their expectations for sales and professionalism, while the audience becomes less forgiving of your work. WOW: That’s sound advice; my daddy always said “take it with a grain of salt” and you make a good point about finding and sticking with your voice. I’ve heard good things about WiDo publishing; it sounds like they did a lot to make things easier for you as the author. There are many author choices right now including self-publishing, what about WiDo publishing appealed to you? Eric: I found WiDo through networking with other bloggers online. I was fortunate to know some of their other authors, who all raved about their experience with WiDo, and since I had read some of WiDo's books, I knew they were reputable with an outstanding editorial team. I rank them as a mid-sized publisher, owing to the large number of authors and books they have published, a paid staff, and because they distribute through Ingram and Baker & Taylor, Amazon, B&N, and wherever books are sold. I want to grow, and WiDo is a fine step up for me. WOW: Sounds like you’re on the right path for that growth right now. Congratulations! At what point did you say to yourself, "It’s only impossible until someone does it.” When did you realize Wink was a possibility for you? Eric: That quote came to me from a character in one of my books. A little boy said it when someone challenged him that he spoke of an impossibility. I liked the quote so much I wrote it down in my personal quotes and put it up on my website as a sort of mantra. It's true, you know. People always say it's impossible until someone does it. WOW: Speaking of growth and excitement … any sneak peeks for us about what is in your future? Eric: My current work is an apocalyptic piece that combines elements of McCarthy's The Road with character-driven action much like that on AMC's Walking Dead. A supernatural undertow drags the reader deeper into the storyline by suggesting that not only are we not alone, but there is a reason and a design even to such horrors as the end of the world. It is my goal not just to write an end-of-the-world piece, but to create an original and thought-provoking piece that explains why such things happen. WOW: Anything you’d like to add as far as future plans for your writing or your family? Eric: My future in writing includes making this a full-time gig. By 2018 I hope to be writing full-time with a backlog of books and an ever-growing audience. My future in family includes another child, due February 2014. He or she will be named with an F, because our first names begin with A, B, C, D, and E. Weird, huh? WOW: Eric, I don’t think that’s weird at all … we have an A and a C and our son will be born at the end of September and we chose a B name. If you’re weird, so am I and I’m glad to be in such good company! Don’t miss the exciting thriller Wink by Eric W. Trant. Wink’s WOW! Blog Tour begins with an author interview and a give-away! Talk about interesting! Join Eric Trant as he discusses “How Small Town Living Made Me a More Interesting Writer” and Win a copy of Eric’s new thriller, Wink (#WINK)! Find out why Eric says caution should be taken when branding yourself, and win your own copy of his fabulous new thriller Wink (#WINK). Eric Trant talks about being your authentic self with today's guest post "Why You Should Be Yourself in Writing and Marketing" stop by CMash Reads for this exciting discussion and your chance to win a copy of Wink (#WINK) Print-US/Canada residents OR eBook-open to all. 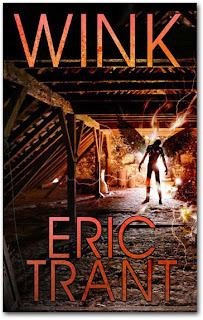 Today is your chance to win a copy of Wink by Eric Trant (#WINK) and read his fascinating guest post: "Can a Faith-Based Person Write Supernatural Fantasy?" Don't miss your chance to win a copy of this great thriller and read Elizabeth Parker's review of Wink (#WINK) by Eric W. Trant. Don't miss another chance to win a copy of Eric Trant's thriller, Wink (#WINK) and read his guest post about "Author Intrusion, Good or Bad?" Win your very own copy of Wink (#WINK) by Eric W. Trant and see what Nicole thought after reading this fabulous thriller set in a rural Gulf Coast town. Don't blink or you'll miss your chance at Wink (#WINK). Today is your opportunity to win a copy of Eric W. Trant's thriller, Wink and read what Margo had to say about this small town thriller! Today could be your lucky day to win Eric W. Trant's thriller, Wink and read a book lover's review of this moving work! 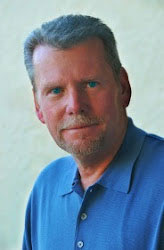 Join Jodi as she does a 5W's interview with Eric W. Trant, the author of the fabulous thriller, Wink! Wink makes a stop for a giveaway and review! Teri Polen reviews Eric Trant's thriller, Wink and offers readers a chance at a giveaway for this fast paced 5 star action packed thriller! 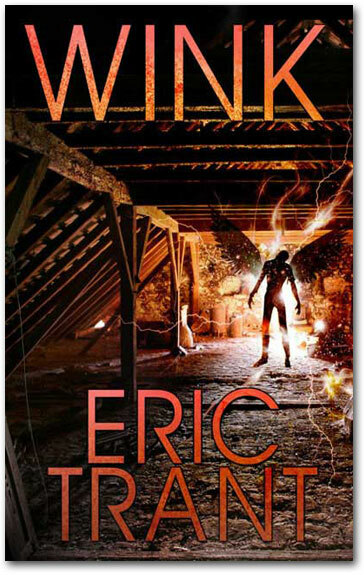 Book Giveaway Contest: Enter to win a copy of Wink by Eric Trant! Just fill out the Rafflecopter form below. We will announce the winner in the Rafflecopter widget next Friday, August 2nd. Like everyone else in the world, I have bemoaned the fact that there are not enough hours in the day. Enough hours to go to my 9 to 5, grocery shop, organize 25 years of family photographs, help my daughter pack for college, go to percussion practice (my son’s practice, not mine), write and just plain breathe. And guess what gets cut from the to-do list most frequently? Yes, I can hear you all answering in unision: writing. Again and again I promise myself to put writing first and again and again I break that promise. Until Weight Watchers. Recently, a friend explained to me how Weight Watchers works. You get a certain amount of points per day, different foods “cost” different amounts of points and when you used up all your points you’re done eating for the day. So she got to come to my daughter’s graduation party last month and eat a homemade pierogie. She didn’t eat much else but she got that all important (to her) pierogie. So each member of Weight Watchers can tailor his or her eating to what they really need. If they really need a small cone of ice cream, they eat a salad for lunch and supper. They swap foods around until the points even out. I realized life is like that. The minutes of our day are the points and everything we need to do is the food. I really need to write but find myself waiting for a block of time to magically appear. Usually by the end of the day when everything else is finished (as finished as my days ever get), it’s either too late or I’m just too tired and I say “Forget it. Tomorrow.” I need to swap writing into my life. I found half an hour to swap writing into my life. I lunch for half an hour each day. Fifteen minutes I spend actually eating and fifteen minutes leafing through the newspaper or the magazines left in our lunch room. I’ve decided if I want to read I’ll do it during the first fifteen minutes while I eat leaving the last fifteen minutes for writing. Although I usually cook supper, I also clear the table. I’ve gotten my family on board to swap out those fifteen minutes of spooning leftovers into containers, loading the dishwasher and cleaning the counters for writing time. Like Weight Watchers, swapping time takes some determination. In the beginning I found myself watching my family clear the table. Finally they convinced me this is not a chore that needs mom supervision. It is not brain surgery. It is not even laundry sorting or algebra homework. They CAN do it. You might be saying, “Fifteen minutes here, fifteen minutes there…how will that ever add up?” The truth is, I’m less likely to jump into something home or family related if I know I only have fifteen minutes. Instead of saying to myself, “Gee, I could be using this hour I set aside for writing to do fill-in-the-blank.” I say, “Gee, I only have fifteen minutes. Not enough time to really start anything else.” Maybe as the days go by I’ll find another fifteen minutes here or there. But for now I’d just like to say thank you to the Weight Watchers people. Maybe I’ll lose enough chores to finally finish that novel. It’s hard to believe now, but I first came up with the idea to start a blog in October 2007, around the same time I decided that developing a website for my business was a necessity. 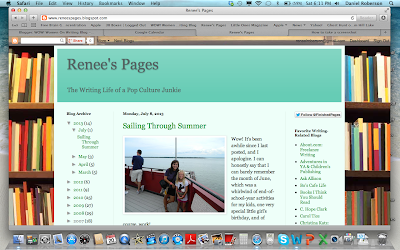 As my writing career has evolved and had its share of ups and downs, so has the blog, titled Renee’s Pages. At first I focused on freelance writing topics, being a work-at-home mom and sharing clips of my articles. Over time I gained a few regular followers, and it felt great to be involved in a supportive writing community. However, when I failed to post regularly, the followers slowly waned. I blame this on the fact that I had regular paying writing and editing gigs that took up a lot of my time, and some of it is a result of never having a clear vision for my blog. I never took the time to sit down and make a blogging schedule or brainstorm a list of what I really wanted to write about. I just sort of posted when I felt like it. About three years ago I started dabbling in writing fiction and reading interviews with authors and agents that stressed the importance of author platforms, specifically blogging. I realized I needed to revamp my website and figure out where my blog was going. I also needed to think positively and figure out what the heck my platform was going to be on the off chance that I actually sell a book one day. I sat down and thought about the topics of my two works-in-progress, a middle-grade and YA novel. One focuses on a tale of time travel to the 1980s and the other is a coming of age story set in the 1990s. I’m also a celebrity gossip junkie and rely heavily on music as part of my creative process. One day I want to completely redesign my blog when I have more time and resources, but for now I use one of the basic templates in Blogger. I kept the name, Renee’s Pages, and added a subtitle, “The Writing Life of a Pop Culture Junkie.” It seemed fitting. 1. You must post regularly. For now, even once a week would be great for me, but two to three times a week seems to be the standard in most of the popular, highly-trafficked blogs I visit. 2. For writing-related blogs, readers love giveaways! Network with other writers and agents and soon you’ll have more products to give away than you know what to do with. 3. Network with other writers and develop a regular schedule of author, editor and blogger interviews and guest posts. Do you have a blog? Do you update it regularly? What tips do you have for gaining more traffic and visibility? Renee Roberson is an award-winning freelance writer who loves to blog about books, movies, music and celebrity gossip and writing. Visit her website at www.FinishedPages.com. Is There a Place for Realism in Your Writing Dreams? Is there a place for realism in your writing dreams? No matter what your dream is--to publish a novel, to secure an agent, to write a well-read blog--you have to understand the way the business side, the realistic side, of writing works. All writing takes creativity and imagination, whether you are a poet or a business writer. Writers are often dreamers, dreamers who have a way with words and a way to make readers see their dreams. You have to have this as a writer. You also have to be a bit optimistic and dream of your success, or the rejections that you are most likely to receive (or the bad reviews or the poor sales) can crush your soul and your creativity. All of this is important. BUT, and this is a capital letter BUT, if your goals include publication or readers or even monetary compensation, you need to understand how the business works. How do you send out query letters? How do you drive readers to your blog? How do you submit to literary magazines? And if you don't know, how do you figure this out? You can do any number of things: go to a writing conference, join a writing group with writers of all experience levels, read a book, visit writing blogs, subscribe to a writing magazine, or join a professional writing organization. First, before you figure out what you need to do though, you need to figure out your goals. Those goals SHOULD (oh no, another capital letter word!) 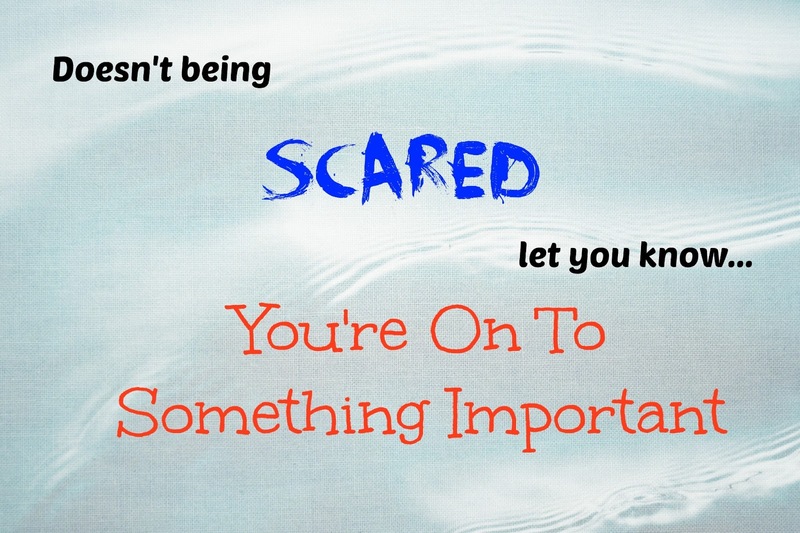 affect how you go about being realistic about your career. For example, if you are a picture book writer, you probably have a lot of creativity pouring out of you--you see images in your mind; you figure out words to match those; you imagine children and parents reading your book at bedtime. But what do you need to know to reach the goal of publication? 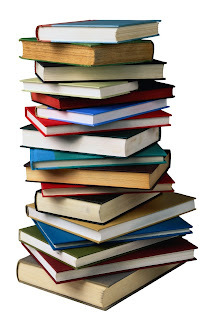 You need to figure out who publishes books like yours and how to submit books to those publishers. You need to work on your platform during this time, too. So, how would you figure out how to do this? Read a lot of picture books, look up the companies that publish ones like yours, join SCBWI and read their free resources, go to a picture book workshop or take a class, and join a critique group. In the middle of all your creative work, you need time for these real-life experiences to reach your goals. Don't ever stop dreaming. Don't ever stop writing. Don't ever stop picturing yourself as having writing success. But in the middle of your dreams, make some time for the reality you need to reach your goals. What do you dream? How do you plan to reach your dreams? Margo Dill is a published children's author and trying to wait patiently for her two picture books to come out within the next year or so! She teaches online courses for WOW! and has one about starting your career as a children's writer coming up on August 8, 2013. For more information about WOW! and the classes that are coming up, please see http://www.wow-womenonwriting.com/WOWclasses.html.